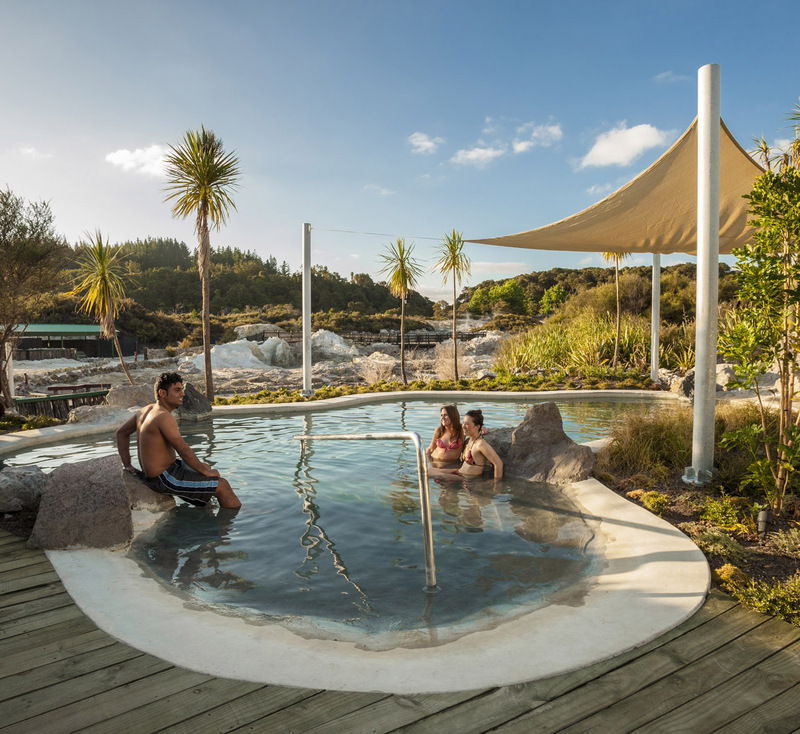 Escape into another world of geothermal wonder, overlooking New Zealand’s spectacular geothermal scenery from the free form sulphur pools in our landscaped bathing area surrounded by native trees and plants. 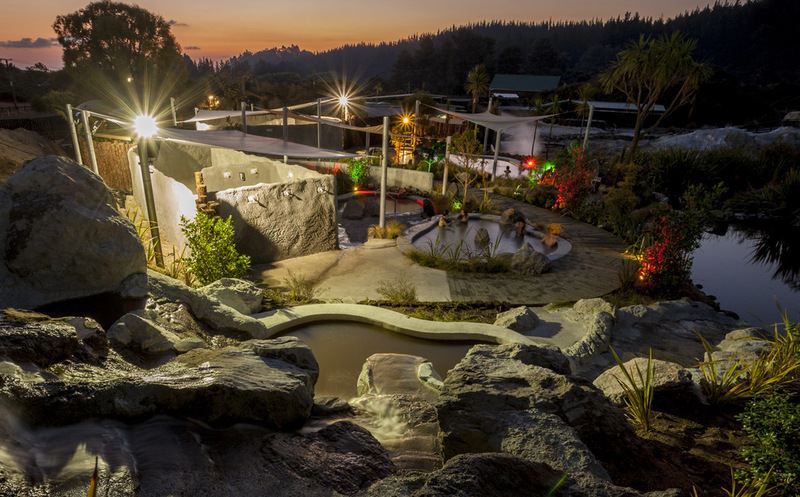 Cool off under the mineral enriched waterfall cascading into the cool plunge pool to refresh during your spa experience. 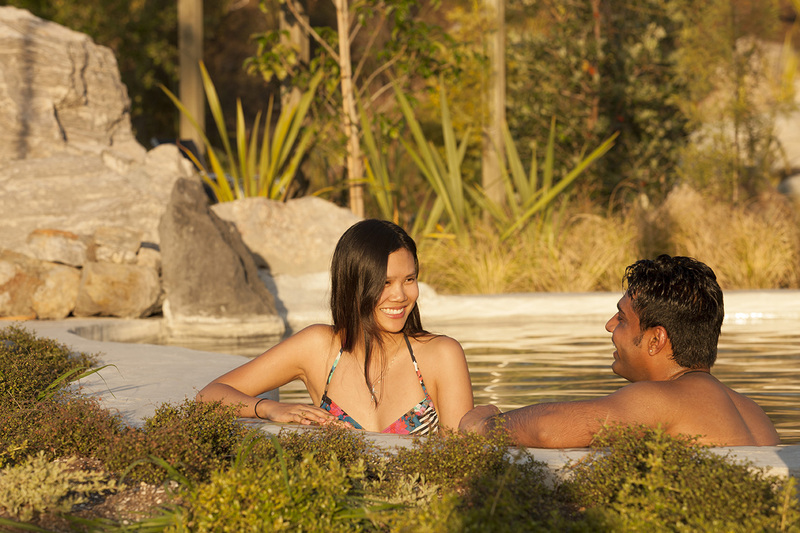 *Note: we have private spas available at an extra cost and based on availability. Please contact us for more information. Please contact us for the shuttle times. *Note: FREE for children under 5 years old.